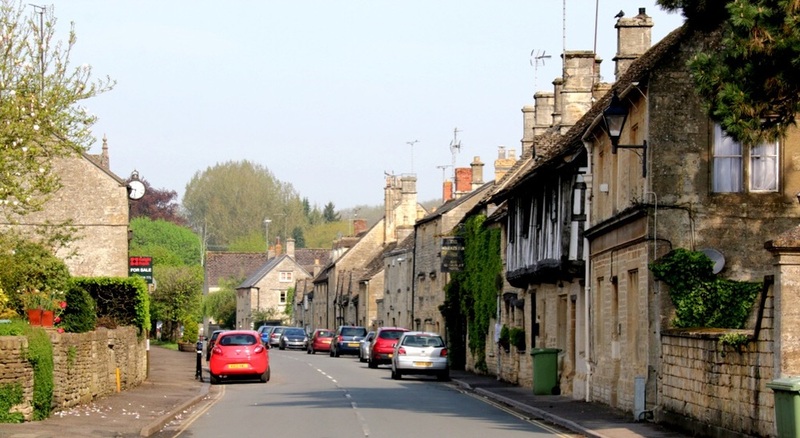 The reason for staying in Cheltenham was to use it as a base for exploring the Cotswolds. 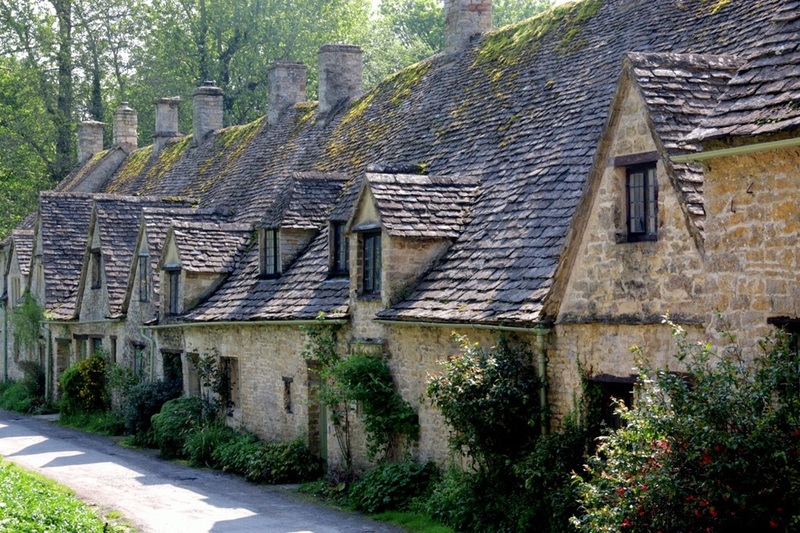 It's just outside the main Cotswolds area but very accessible. Though based on what I've learnt, next time I would/will stay in one of the small towns to get a more complete experience. My original plan was also to drive but I've gone off that idea completely. The roads around here are as narrow as Cornwall. So this morning I checked out all the resources I could to plan an itinerary using local buses. It took a bit of jiggling but I came up with a plan that looked good on paper. But would it actually work? First off I needed to make my way to the train station. Firstly to buy a Cotswolds Discoverer pass which would give me unlimited train and bus travel. And secondly to catch the 801 bus to Northleach. Northleach wasn't a final destination. I needed to change buses there. But it was still a good introduction to the feel of the Cotswolds. From Northleach I caught the 855 bus to Bilbury. Getting off the bus I overhead a woman with an Australian accent asking where the bus stop for the return journey was. I took the opportunity of speaking with her to find that out for myself too. Bilbury was prettier than Northleach, with a small river running through the centre. I wandered around town for a bit and then to the edge of town. Not the kind of wildlife signs we're used to seeing in Australia. The bus back to Northleach and on to my next destination didn't leave until 1:17, so I decided it would make sense to have lunch. There were a couple of options, but the Swan Inn looked the best and was in view of the bus stop, just to be safe. Had a delicious pulled pork burger. Also at the Swan Inn was the Australian woman I had spoken to after getting off the bus. Our paths had crossed a bit while wandering around town and we had a chat while we waited for the bus. She is from Newcastle visiting her daughter and having a holiday at the same time. She gave me a good tip for something to see at my next destination. We caught the 855 bus back to Northleach and then waited for the 801 bus to Bourton-on-the-Water. This town had yet another feel. By the time I got there it was about 2:30 and it was packed with tourists. Still pretty though. I had plenty of time before the final bus back to Cheltenham so I followed up the advice I'd been given which was to walk from Bourton-on-the-Water to Lower Slaughter. I know, the name sounds terrible but it's an old word for "miry place". The walk took me along a public walkway between the towns. I bought some maps with these walkways and am considering doing a bit more walking tomorrow. They're really good paths and it's a great way to get off the beaten track. And Lower Slaughter was delightful. All in all, the day was a bit like stepping back in time. The towns and villages feel like they have barely changed. Only the road signs and occasional modern conveniences remind you that it's 2016. The bus back to Cheltenham left Bourton-on-the-Water at 5:10. By now my feet were killing me. It was nice to sit on the bus for a while. The journey took about an hour and a half. I managed to catch some more shots of the scenery on the way back. Time for a shower, a drink and some bangers and mash in the bar.